If you've been around on my blog for a while then you'll know that I actually love doing food reviews. I haven't had chance to do one in a while as I've been so busy I've literally been eating on the go then forgetting to review things or take any pictures. However, when the opportunity arose to work with a company called Posh Pickles and Preserves then how could I resist?! I'm one of those people who eats the same sandwich every single day, so I thought I'd change it up a bit and choose some chutney that I can put on my cheese sandwich! 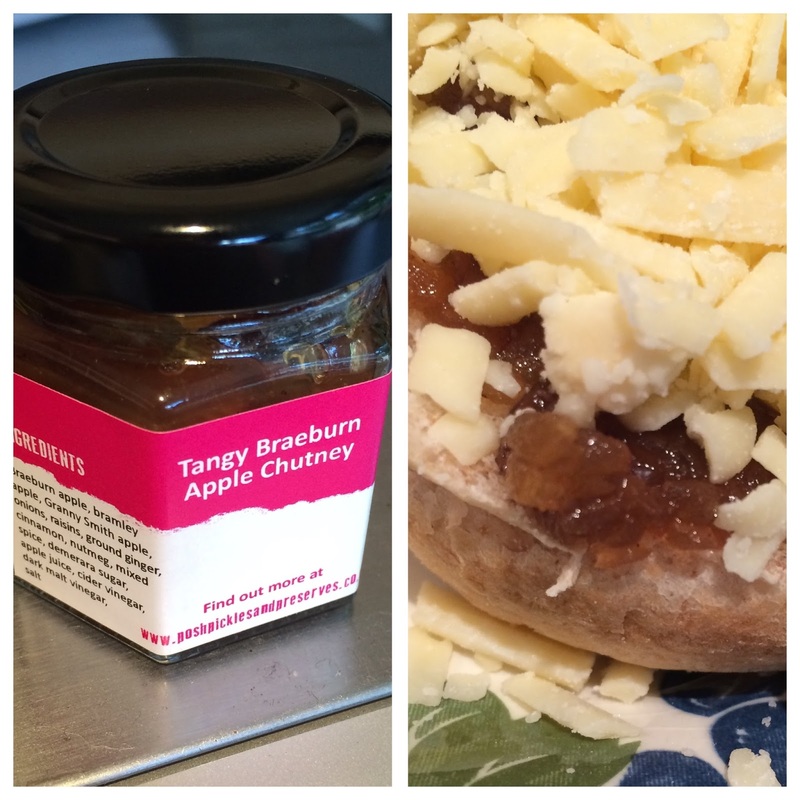 I chose Tangy Braeburn Apple Chutney. The ingredients include raisins, ginger, muscovado sugar etc so I assumed that it would have a spiced flavour to it. I really enjoyed this chutney with the cheese. They went really well together, the cheese offset the tart of the apple and sweetness of the raisins. It's definitely more of a chunky, rustic chutney rather than a smooth one which is a positive in my eyes. I would definitely eat this again - it really is a delicious chutney! While I was sat at my desk eating this, I eyed up some of their other creations and got a little bit too excited. They do Strawberry and Champagne Jam. Can we all take a second to contemplate that..? They also make Chestnut, Fennel and Red Onion Relish which sounds lush.